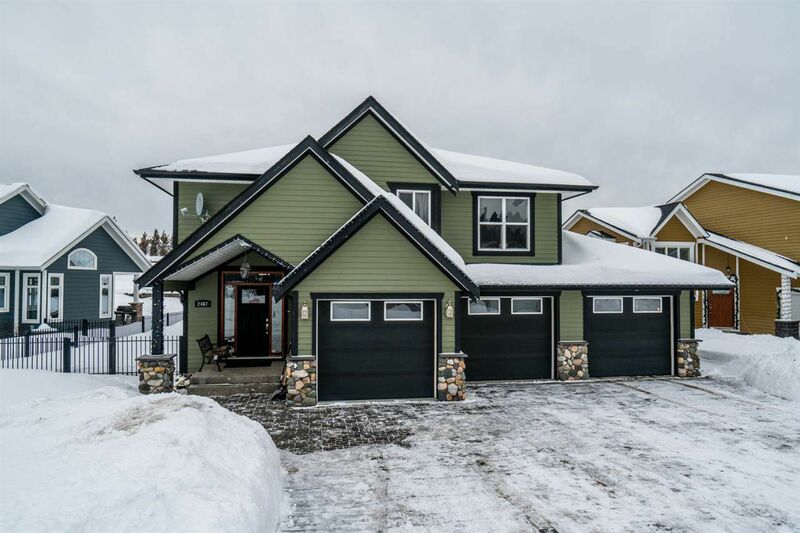 This beautiful custom split-level home in the exclusive Aberdeen Glen sub flaunts a wonderful open concept with all the extra high quality finishings, a beautiful oversized triple garage, and the rare large fully fenced yard. A majestic evening maple kitchen with concrete counters and large center prep island overlooks bright living and dining areas with vaulted ceilings, floor to celling windows, and natural gas fireplace with a very well done river rock fireplace mantle. Striking hand scraped hardwood floors and slate tile floors are throughout. Multi-tiered master bedroom has his/her and walk-In closets plus full ensuite with separate shower and soaker tub. Basement Is fully finished with large media room and 4th bedroom.